One of my favorite Phalaenopsis is our magnificent hieroglyphica 'Orchidglade.' It's a stunner. It's flowers are larger, the colors richer and the blooming season much longer -six months!- than our other hieroglyphicas, which flower September through November. 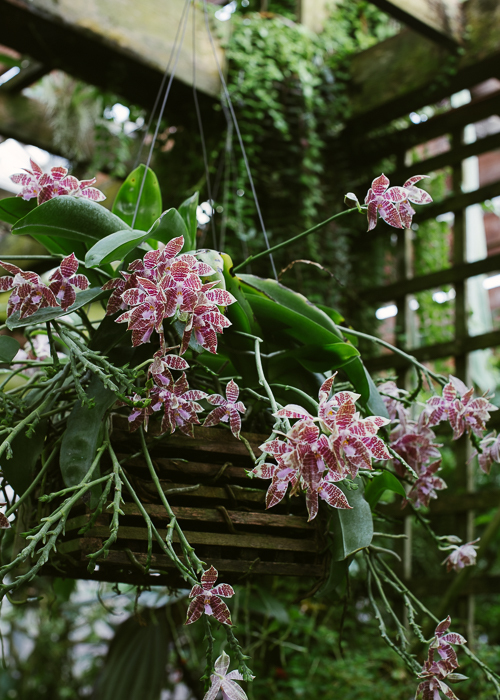 'Orchidglade' is a vigorous grower and quickly makes a stunning specimen-sized plant. 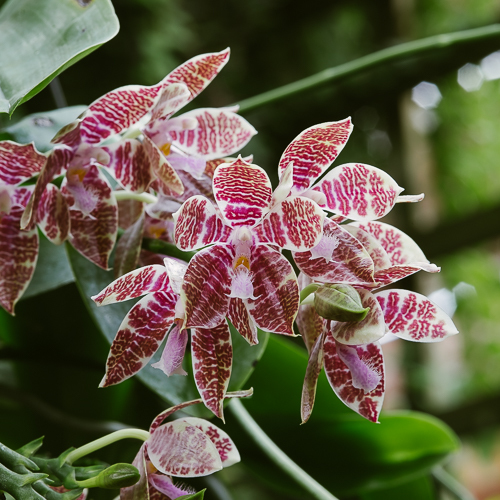 Phalaenopsis hieroglyphica is endemic to Luzon, Polillo, Palawan and Mindanao in the Philippines. When our plant isn't on display we grow it in our warm greenhouse. 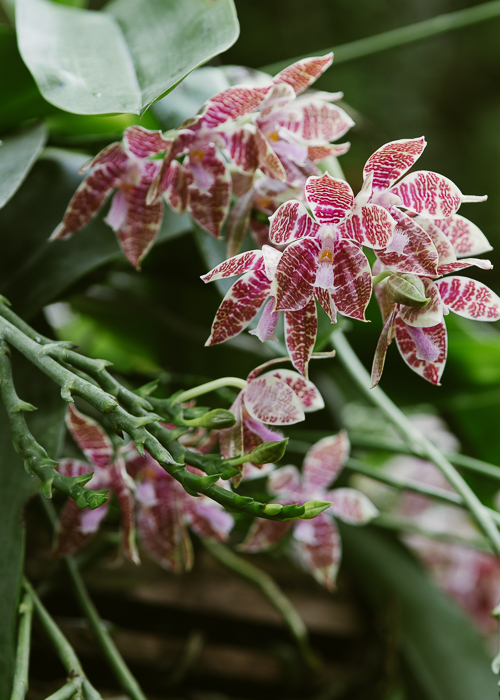 It likes the classic Phal conditions -warmth (70º-85º), shade (80%), year round moisture and high humidity (80-90%). The inflorescences are pendant, so we grow our plants in baskets. But it's those glpyph-like markings on the petals and sepals that make the flowers so mesmerizing. And the pink Velcro lip. What a terrific plant this is! 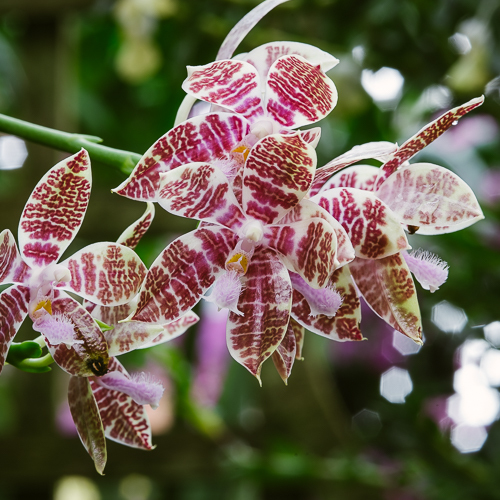 You can see it flowering now in the Orchid Display House.